Well, he’s done it again. 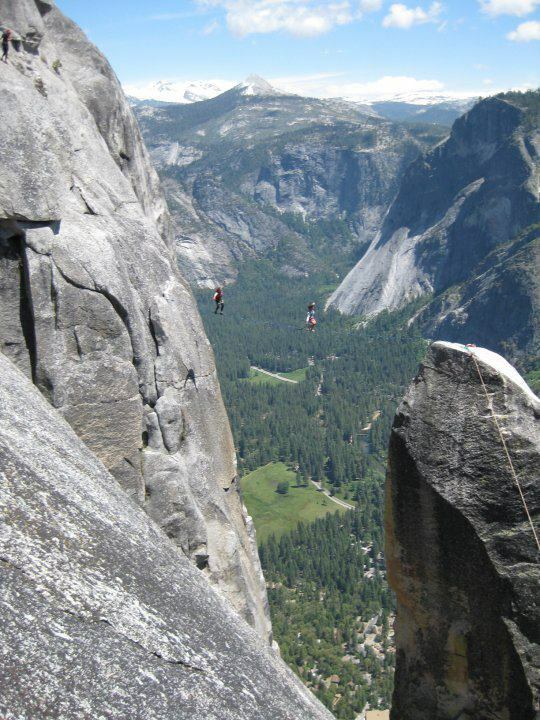 Mr.Slackline, aka “Sketchy” Andy Lewis up on Lost Arrow Spire, with Jeremy Louis, Yosemite National Park, USA. Just think for a minute how intense the exposure must be in the middle of that line. Incredible. Want to learn how to slackline, use it as part of your cross-training or improve your proprioceptive skills? Contact Harry here. This entry was posted in Slacklining and tagged 25mm, andy lewis, Epic Photo, epic slacklining photo of the week, harry cloudfoot, highlining, london, lost arrow spire, one inch, Skandy, Sketchy, slacklife, slackline, slackline classes london, slacklining, webbing, yosemite by harrycloudfoot. Bookmark the permalink.